China will host the G20 Summit in September and its leadership has made “green finance” one of the pillar issues of its presidency. Reflecting this priority, China is becoming the global testing ground for innovative concepts in green finance with an ambitious domestic program for financing green growth. If successful, this model could drive standards and practices for the rest of the world. China is attempting to do just that. While the international financial community is debating definitions of “green,” China is moving full speed ahead. 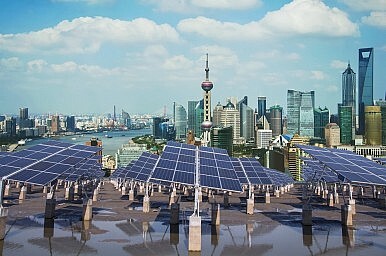 Last year, China announced its intention to merge its seven experimental carbon exchanges into a national market by 2017. The challenges are enormous — from inadequate reporting of emissions data to oversupply of permits that drive down price. But if China succeeds, it will create the world’s largest carbon exchange. The central government intends to upgrade building codes with higher standards for new and retrofitted construction projects. Individual cities are planning to go even further. Zhuhai, a 1.5 million-person city in Guangdong province, is planning on adopting a 100 percent green building requirement for all future municipal construction. China State Construction, the world’s largest construction company with over 7,000 projects globally, is planning to upgrade its own green standards for the materials used in its building, bridge, and high-speed train projects and is exploring how to ensure that its suppliers do so as well. There is still a long way to go both in China and internationally. But as President Xi Jinping hosts his G20 counterparts in Hangzhou this September, he will be in a strong position to build international consensus around green finance, just as he did in Paris on the climate change commitments. If successful, this G20 meeting could become as significant to green economic growth as the Paris Climate Summit was to climate change. The piece was previously published at the Huffington Post. Deborah Lehr serves as the Chief Executive Officer of Basilinna, a strategic business consulting firm focused on China and the Middle East. In addition, Ms. Lehr is a Senior Fellow of the Paulson Institute, a think tank founded by former Treasury Secretary Hank Paulson located at the University of Chicago.